Sometimes a little decadence is in order for the holidays. 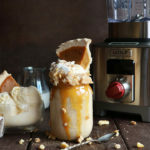 This Pumpkin Pie Milkshake, made in the Wolf Gourmet high-performance blender, is the ultimate season’s delight. The secret to creating this mouthwatering milkshake? Blending in an actual slice of baked pumpkin pie. Smooth, creamy, and packed with rich pumpkin flavor, this delicious drink comes together in just a few minutes thanks to the Wolf Gourmet blender. Just turn the knob to “smoothie” and let the blender work its magic. The result? 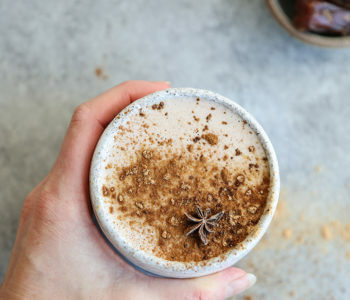 A gloriously smooth and delicious milkshake that’s fit for the season. Remove the crust from one of the pumpkin pie slices. 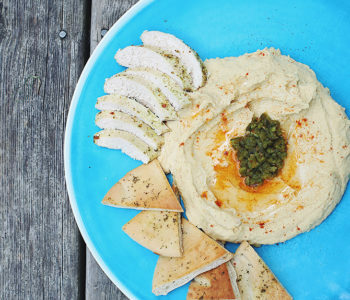 Chop the crust into small pieces and set aside. (The remaining slice will be used as a garnish). 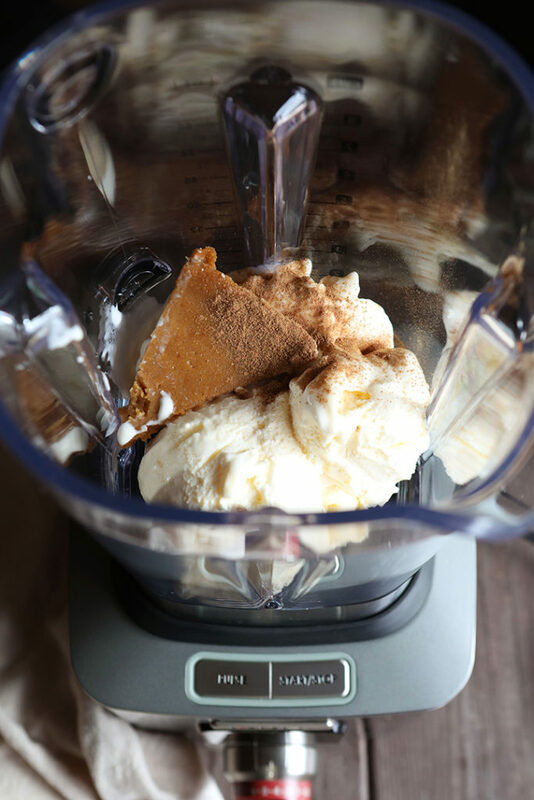 Place ice cream, milk, pumpkin pie spice, and one pumpkin pie slice (sans crust) in the Wolf Gourmet Blender. 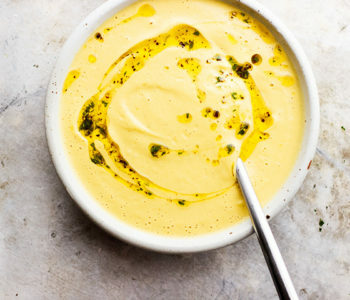 Turn the knob to smoothie, and let the blender work its magic. Dip serving glass into caramel sauce. Gently press the pie crust crumbs into the caramel. Once the edge is completely covered, place the glass in the freezer for about 5 minutes and let set. 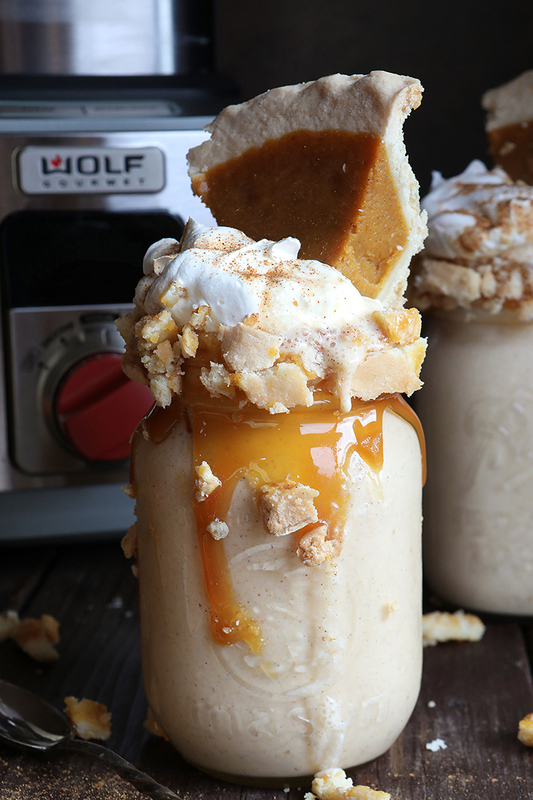 Pour the milkshake into the caramel and pie crust coated glass. 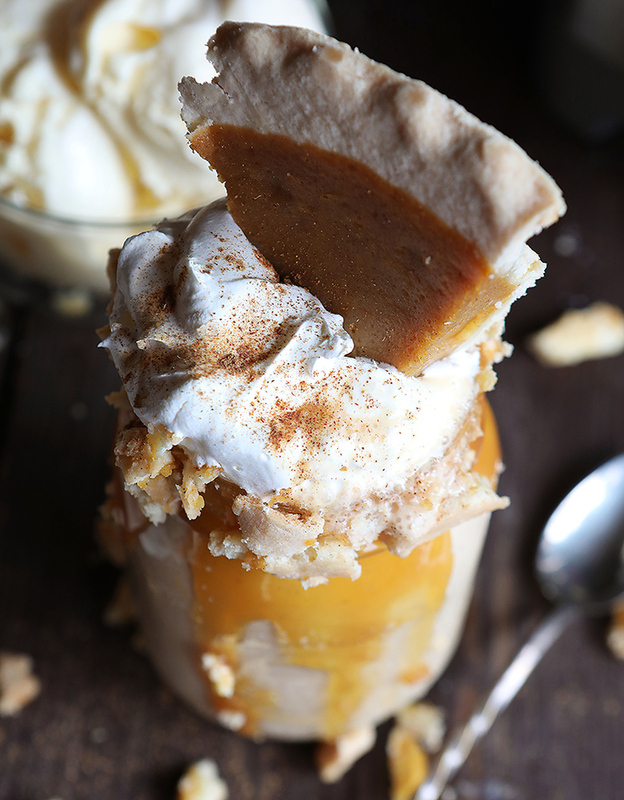 Top off with whipped cream, pumpkin pie spice, and a whole slice of pumpkin pie. 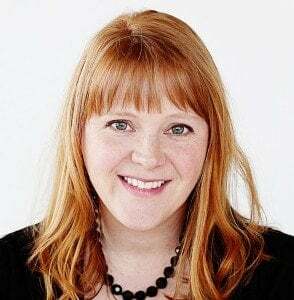 Amanda Rettke is the creator of I Am Baker, and the bestselling author of Surprise Inside Cakes: Amazing Cakes for Every Occasion – With a Little Something Extra Inside. Over the course of her 10+ year blogging adventure, she has been featured in and collaborated with the Food Network, New York Times, LA Times, Country Living Magazine, People Magazine, Epicurious, Brides, Romantic Homes, life:beautiful, Publishers Weekly, The Daily Mail, Star Tribune, The Globe and Mail, DailyCandy, YumSugar, The Knot, The Kitchn, and Parade, to name a few.